"You dream it... We build it!" Since the inception of Precision Decks in 1996, owners Bob Januik and Matt Norden had one vision in mind, to become industry leaders in the custom deck and porch industry. Today Precision Decks is at the forefront of this industry with a strong focus on custom craftsmanship, creative vision, and innovative design in the Twin Cities marketplace. Precision Decks' commitment in exceeding the highest levels of expectations and satisfaction for its clients has played a large role in the company's growth and success. 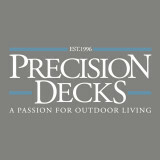 Precision Custom Decks believes in your dreams and wants to help make them come true. We do not stop until our customers are satisfied. To prove it, we warranty every deck we construct. Garden Structures & More is a complete design and build business that is dedicated to architecturally correct designs and the highest quality craftsmanship. My name is Hal and I'm the owner/designer/craftsman of garden structures and more. 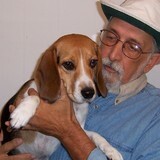 I've been serving the Twin Cities metro area since 1995! We do everything ourselves, we never let anybody touch the project that we take full responsibility for. We are proud of our craftsmanship and everybody says it shows! What we charge is always determined by the individual project. There are no charges for quotations or travel time. Let us impress you with our design capability and craftsmanship today! The preferred form of communication with me is by phone although of course you may contact me through email or text messaging. Thank you for looking! Give us a call! *Authorized Distributor for Phantom Screens* Established in 1999, Minnesota Screens, Inc is proud to provide and install Phantom Screens, North America’s leading brand of retractable screens. Our previous owner Tim Chamberlain first started as a Phantom distributor in 1995 in British Columbia. He and his wife Sharon sold that company, and in 2003 relocated to Minnesota to work with Phantom here. Tim was sold on the product when he first began and can proudly say the same about Phantom today as he passes it on to new owners Jeff and Rhonda Johnson. Over the years Phantom has evolved from offering a single door product to now having a wide range of screening solutions. They have expanded from their beginnings in western Canada, to reach all of North America, the Caribbean, Australia, and England. 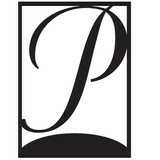 Independent studies place Phantom at a 98% customer satisfaction rating! We strive to ensure customer satisfaction through a great product and trained professional installers. We service all of Minnesota and select parts of bordering states. Come see us at our showroom and warehouse. We are located in Rogers, Minnesota servicing the Twin Cities and surrounding areas. We want to thank our loyal customers for their support and invite you to view all of our product lines. Phantom retractable screens are truly a stylish, unobtrusive solution for all your screening needs. DecksDirect.com has the finishing touches that bring your deck to life! We carry the best brands of decorative lighting, railing, balusters, specialty hardware and superior stains - you won't find anywhere else, online or in stores. Don't just get the deck done, make it distinctly yours. DecksDirect.com was founded in 2003 for the express purpose of creating a better deck building experience for the do-it-yourselfer and the professional builder. A family owned and operated company in Minnesota with over 25 years of industry experience, we understand the pleasures of deck living – not to mention the satisfaction that comes from building a deck your family or client will enjoy for years. We are passionate about decks, it's what we do and we do it well! Whether you are a do-it-yourselfer or a seasoned professional, we hope to share our passion and knowledge with you, creating the best shopping and deck building experience possible. Real People, Real Service - Behind our fancy website are real people who are passionate about what we do. We strive to exceed your expectations by providing honest, accurate and friendly service that you can trust. We're here to help, give us a call at 1-888-824-5316 or send us an e-mail at support@DecksDirect.com. Stumpy's Deck - The Twin Cities most respected decking company for over two decades. We are A-rated with the BBB and a 2014 DesignMine Winner. We truly care about our clients who are an extended part of our family. This is representative of our history of NO COMPLAINTS against our company. When you want it done right...call Stumpy's. You will certainly receive the care and attention we have provided to hundreds of customers locally. 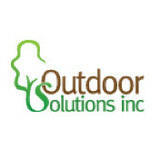 Vrienden Outdoor Living has become an internationally recognized company that exemplifies excellence. Dedicated to the finest in design, materials and craftsmanship, Vrienden collaborates with distinguished American and European designers to offer beautiful handcrafted furniture for contract, residential and marine environments. Unmistakable quality has made Vrienden Outdoor Living the first choice for elegant hotels and restaurants, private clubs, estates and villas in London, Paris, Monaco, the Caribbean, New York and Los Angeles. Vrienden Outdoor Living maintains its commitment to excellence; to be the best source of handcrafted, sustainable PE Rattan furniture for interior or exterior applications in residential and commercial environments. Our collection may be viewed in showrooms to the trade throughout North America and Europe. Providing high quality decks, pergolas, porches and professional outdoor wood work. 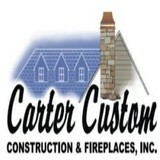 We are a small construction company specializing in remodels, windows, doors, decks, patios, porches and snow removal. Schonhardt and Sons Home Improvements' personnel are professionally licensed and master craftsmen specializing in Decks, Porches, Basement Finishes, Kitchens, Baths, and Additions. As a fully licensed and insured second generation family company, we don't simply build and remodel, we create lasting relationships demonstrated by repeat business from our customers. Our professionalism and attention to detail are what separates us from the rest. Located in the western suburbs of Minneapolis, Schonhardt and Sons Home Improvements has earned a stellar reputation for providing superior craftsmanship. With over 30 years of experience, we have been trusted by hundreds of quality conscious home owners. Minnesota Decks believes that a well-designed deck should be both beautiful and functional. While we can build virtually any deck you dream of, we have seen that often decks are built without thought to how usable they will be. Too much money is spent on features that are at best impractical. Owners Brian Filkins and Tim Brown, along with the rest of the PHI Decks Team, offer a down to earth approach, exceptional customer service and superior craftsmanship. As specialized deck builders based in Plymouth Minnesota serving the Minneapolis and St Paul metro area with years of experience and tens of thousands of square feet of decking laid down, we constantly research new techniques and products in order to bring you the most enduring, cost-efficient, and innovative projects possible. This is achieved by maintaining strong relationships with our suppliers and product representatives. When the temperature heats up in Blaine, there’s nothing like having a deck or patio to kick back on and enjoy the warm weather. A functional deck design and patio layout is dependent on meeting your specific needs, so it's a space that needs to be created carefully. Luckily, there are professionals to handle your deck installation or patio design — hiring a Blaine, MN deck and patio builder is your surefire ticket to creating an outdoor oasis! What services do deck and patio builders in Blaine, MN provide? To help you choose the ideal style, configuration and materials for your deck or patio, your deck and patio contractor will survey your Blaine, MN lot and your home to come up with a design that complements your exterior as well as being structurally sound. He or she will recommend sizes, heights and construction materials that suit your lifestyle and climate, as well as explain the best stain or finish options. Additionally, deck and patio professionals can provide insight into additional components such as outdoor kitchens, patio covers, fire pits, outdoor lighting, arbors and more. Your deck and patio professional might work closely with another Blaine, MN lawn and landscape professional. Here are some related professionals and vendors to complement the work of decks, patios & outdoor enclosures: Landscape Architects & Landscape Designers, Garden & Landscape Supplies, Stone, Pavers & Concrete, Landscape Contractors, Building Supplies. Find a deck and patio builder in Blaine, MN on Houzz.